Podcast host and executive producer Ryan Jon, with an Honours Degree in finance, is not your typical breakfast radio personality. After working in the corporate world, the HIT 104.7 Canberra presenter happily hung up his suit and tie, swapping a calculator for a microphone, but he hasn’t lost his inquisitive nature for dollars and cents. Ryan is fascinated and admittedly jealous by the rising underworld of social influencers, he said: “Everyone I’ve spoken to in this series is doing exactly what they want. It’s been fascinating to hear how people have turned hobbies and passion projects into full-time careers. It’s really impressive”. 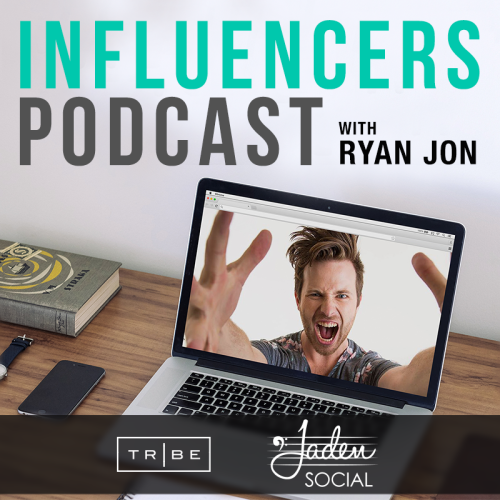 In this new 12-episode series Ryan chats to Australian influencers making a living online; Pia Muehlenbeck, Steph Claire Smith, Jules Lund, Sketch She, Hayden Quinn, StyleRunner, Adam Ferrier and even those who own some of the internet’s most recognisable pets. It’s a goldmine of insights and answers from the insta-famous, almost-famous, and the brands who want to collaborate with them. Jules Lund talks about his move from TV and radio star to founding a tech company. He talks about where he found his passion for digital and reveals his next (surprising) passion. In 12 months Pia Muehlenbeck went from being a full-time lawyer without Instagram to having 1 million followers and a thriving activewear business. Nic Kelly is more than just a music fan! He’s now changing and influencing an industry — and he’s only 20! He talks about his new landmark deal with major record label EMI. Lauren Bath is a travel photographer and Australia’s first full-time Instagrammer! The first four episodes of the Influencers Podcast is available now on Inside Social from and podcast platforms including iTunes and the Omny App. Jaden Social is a social-first digital shop collaborating with music, media entertainment and lifestyle brands. TRIBE is a marketplace where brands can easily invite and brief Influencers to activate powerful 1:1 campaigns.